Those who were wondering how the future iPad Mini tablet might look right next to it’s larger sized sibling may receive their answer today, as a picture rendering the two devices side by side has been fabricated. 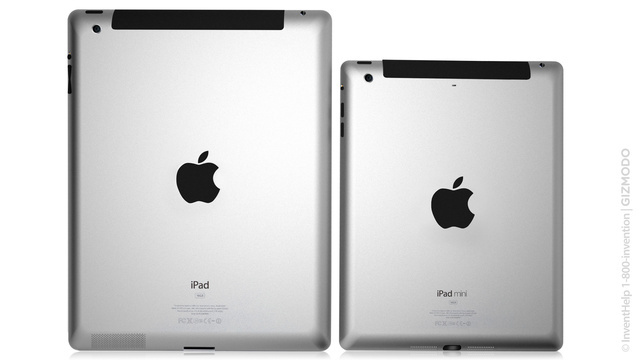 The iPad Mini renders come from Nickolay Lamm, a Gizmodo contributor, who built the pictures solely basing on the rumors surfaced until the moment. The user maintained the standard aspect of the current iPad model and taking advantage of the so-hyped 7.85-inch wide screen, the device was modeled. The size difference between the two models cannot be considered huge but for those that wish to sacrifice a portion of the screen for mobility, and a cheaper price (Apple is currently expected to sell the iPad Mini for $250), this might just work. The source was keen to remind that although the iPad Mini size is slightly larger than the standard 7-inch pattern, and the model itself is a bit pricier, it will offer up to 50% more viewing area. What do you think? Is that extra bonus worth $50?